I have seen the board it looks like an awesome one stop solution, the only reason I did not go with that was because I was given these stepper drivers. I have already informed the design center at UCF about the grbl shield so hopefully we will be getting some in. Cheers for the comment I have been very impressed with whole grbl project. hi any chance to run grbl on arduino Diecimila … ? 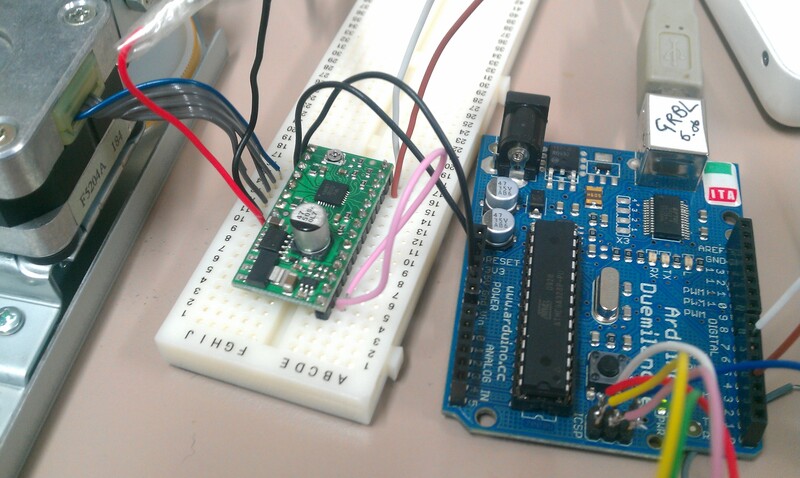 hi I followed your instructions from a previous article for loading grbl onto the arduino. it says it uploaded, but i cannot get coolterm to show anything. the RX LED on the arduino flashes when i type the “$” command but returns nothing in coolterm. any ideas on whats going on? Sorry it took so long for the reply I have been quite slack on here recently. Have you tried going into the settings of coolterm and ticking the ‘terminate “send string” data’ option?